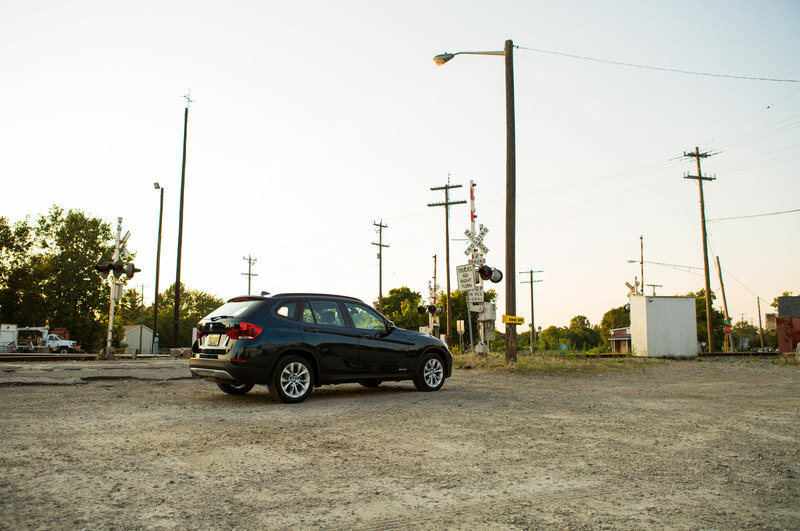 The promise of the crossover, as much as there is one, is to occupy the middle ground between a passenger car and an SUV. 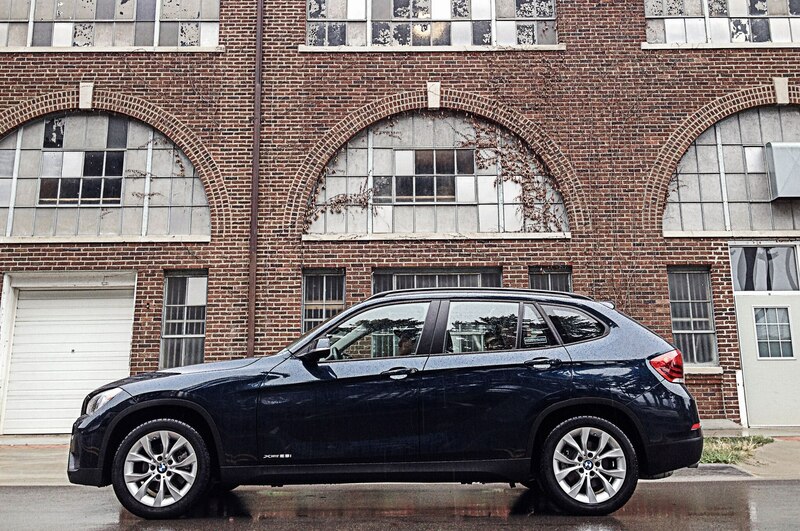 Most, however, hew much more closely to the SUV end of that spectrum. 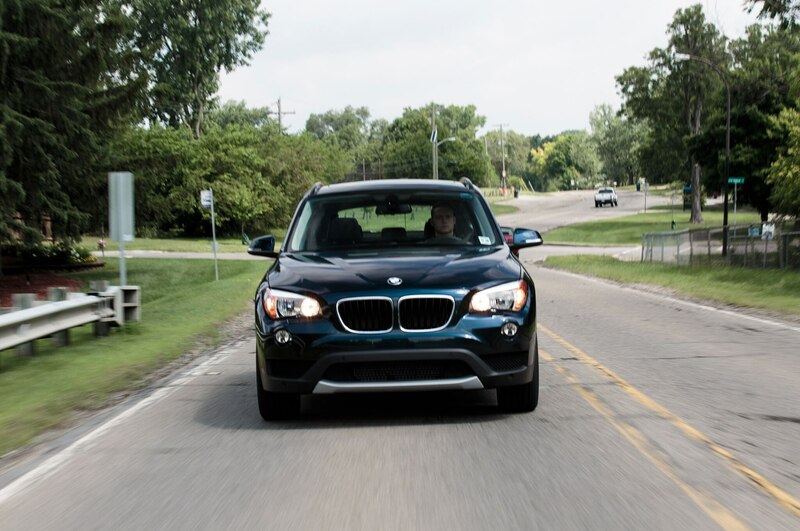 The BMW X1, by contrast, is closer in look and feel to a passenger car; it really does split the difference between car and SUV. 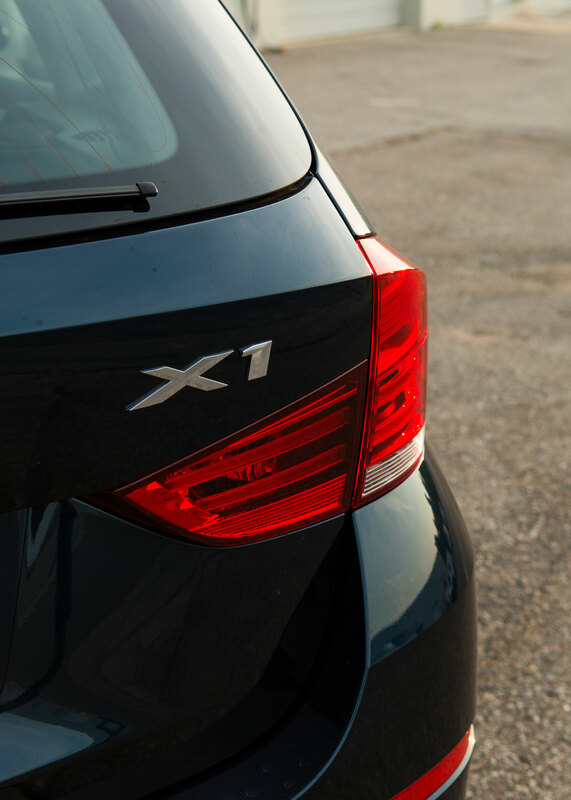 Over the course of 12 months and 27,182 miles, we found that the X1’s unique positioning had ramifications both positive—chiefly in driving dynamics—and negative, mostly in space utilization. 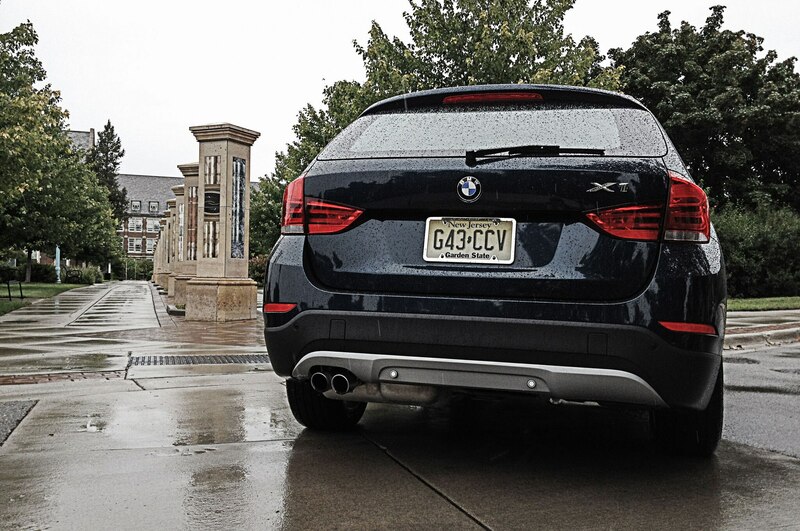 Overall, though, we were happy with the compromise—compared with other compact crossovers, the X1 is less of an SUV but more of a BMW. 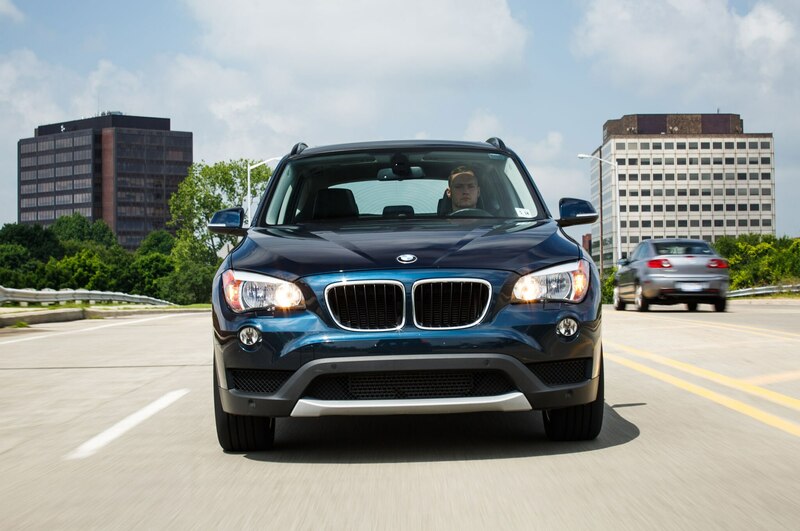 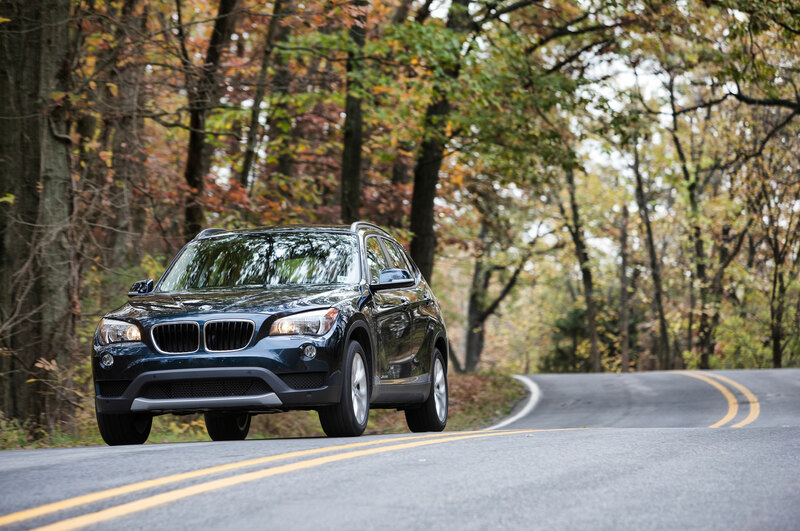 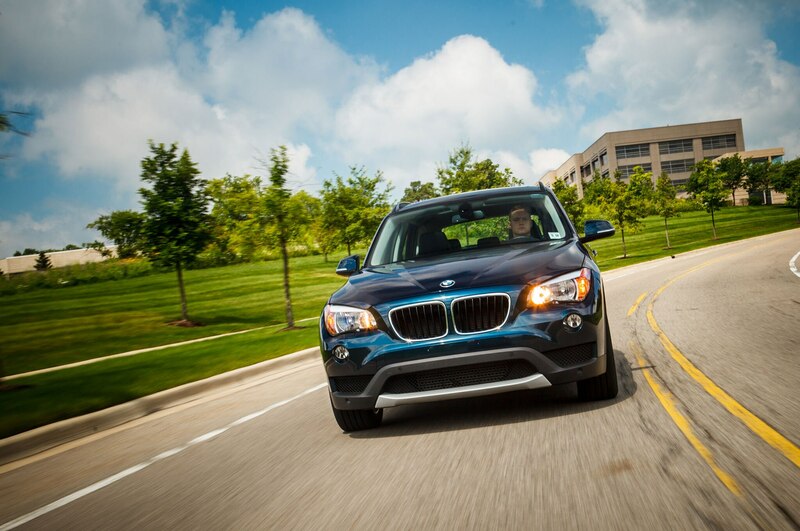 One look at the BMW X1, and the proportions tell you that this vehicle doesn’t use the typical crossover architecture. 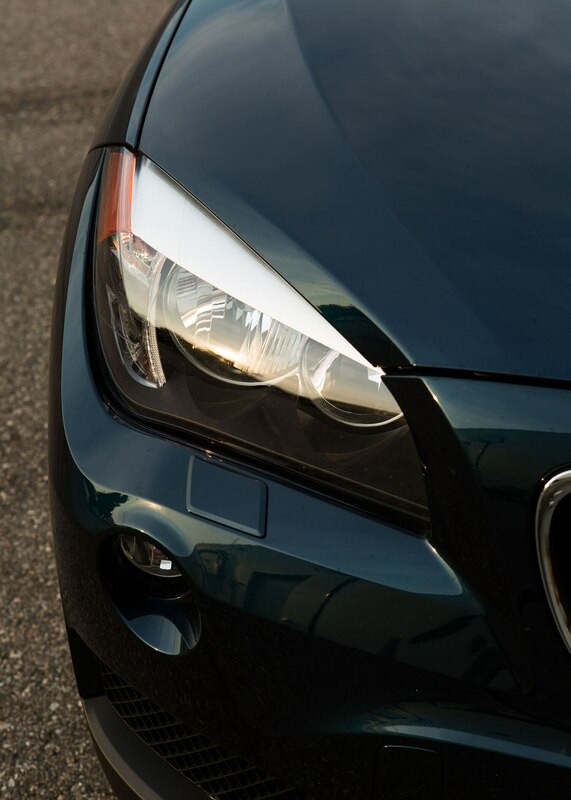 You’ll see no big front overhang necessitated by a transverse-mounted engine; instead, the front axle is pushed all the way forward. 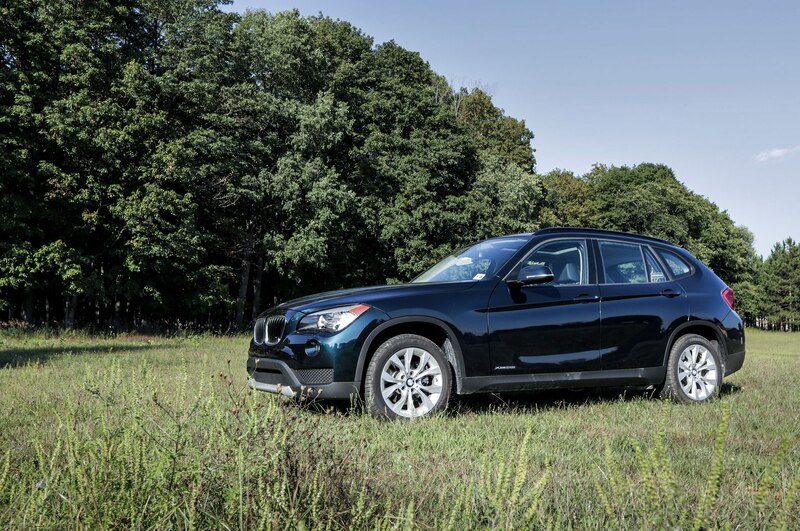 The X1’s longitudinally mounted engine makes for a long hood and a set-back passenger compartment, giving it a wagonlike profile. 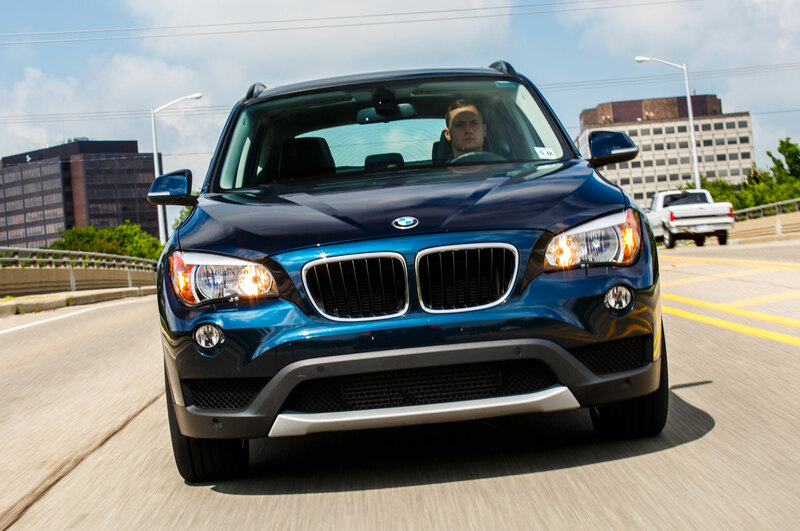 One might point out that a BMW X3 has the same mechanical package, but the BMW X1 is different because it’s so much lower. 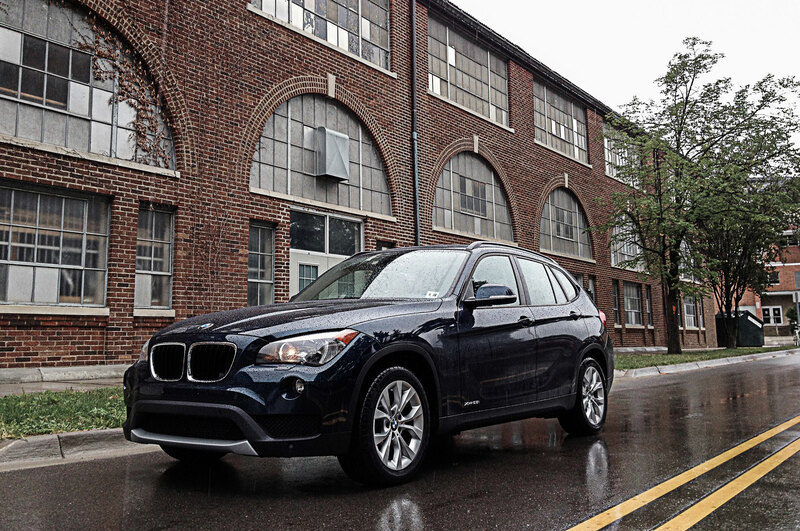 Its 60.8-inch overall height falls midway between an X3 (66.1 inches) and a 328xi Sport Wagon (56.5 inches). 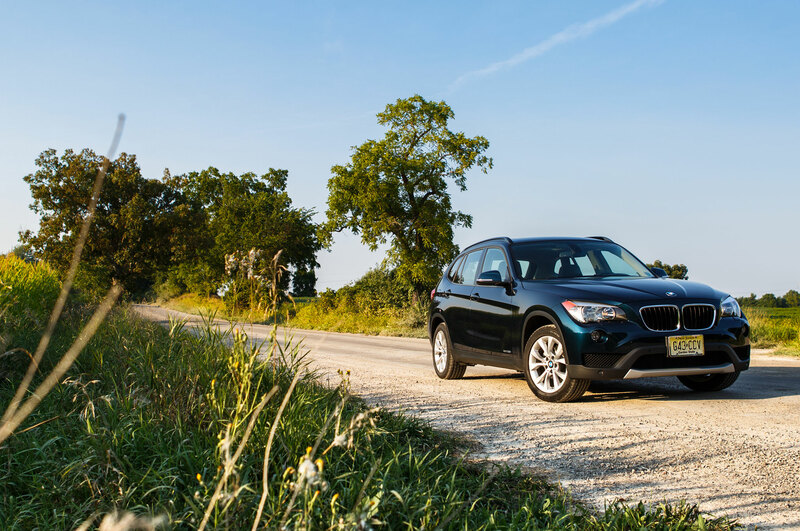 The X1 struck us as a vehicle that’s ideal for two-plus: two plus the occasional third, two plus their canine companions, or two plus a load of stuff. 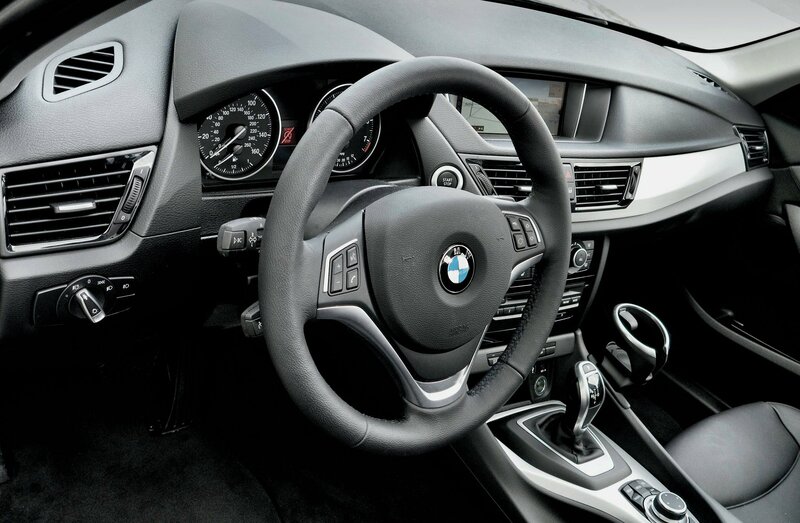 Confining cockpit: The high-quality interior is familiar BMW fare, but we found it a little tight, fairly plain, and wanting for stowage (note the hang-on cupholder). 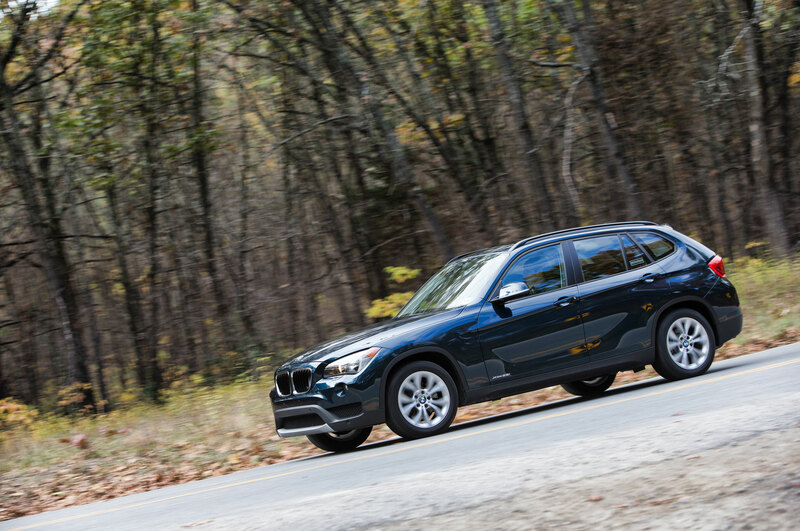 Getting even more specific, we found that the BMW X1 drives like a previous-generation (2006-2012) 3 Series wagon—which is not surprising, given that the X1 is built off the E90-series 3 Series chassis. 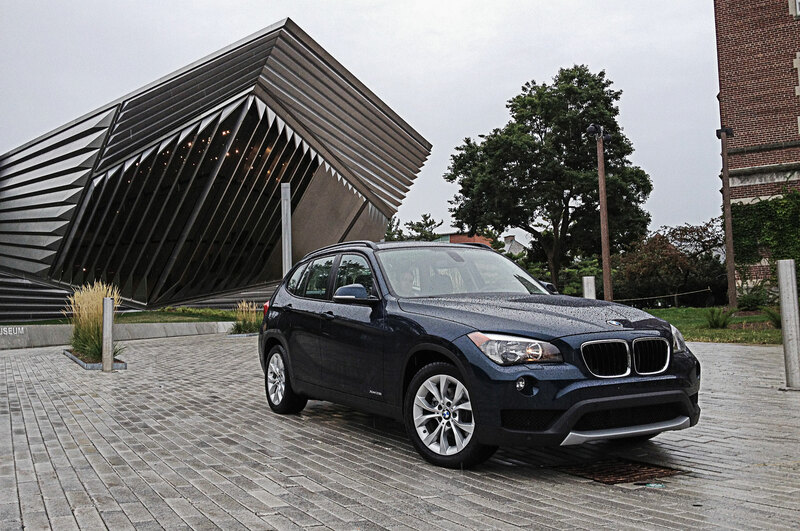 (Although the X1 first went on sale here as a 2013 model, it was introduced in Europe three years earlier.) 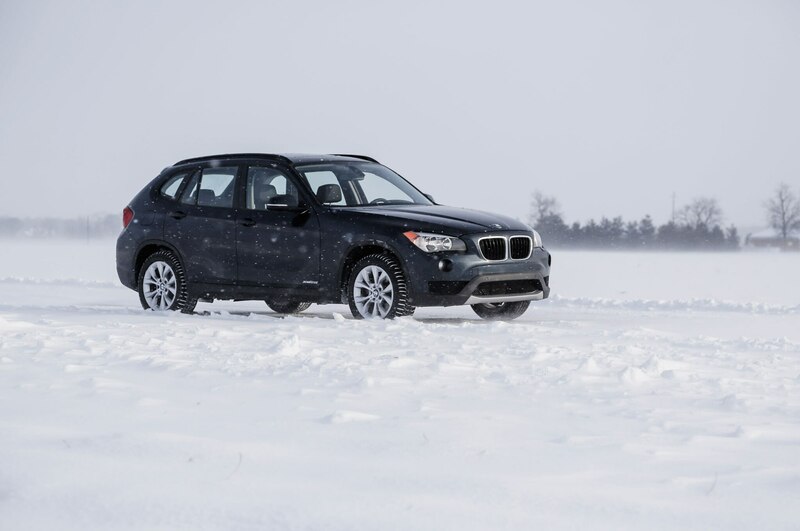 Senior editor David Zenlea elaborated on the X1’s throwback dynamics: “The steering has that old-school heaviness at low speeds, and the ride is solid and firmly damped.” Note that all-wheel-drive versions of the X1, like our xDrive28i, get hydraulically assisted power steering, while rear-wheel-drive models are fitted with electrically assisted steering. 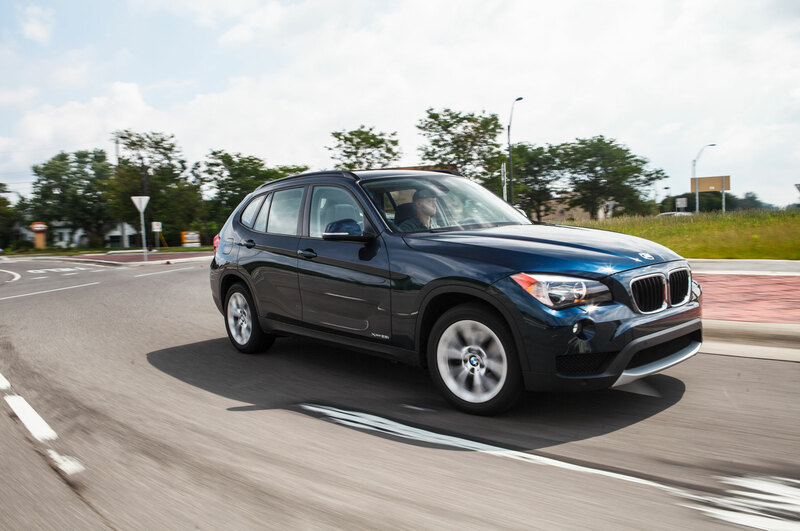 Our X1 was further optioned with BMW’s Servotronic steering, which varies the power assist with speed; that system has since been made standard on all X1 models. 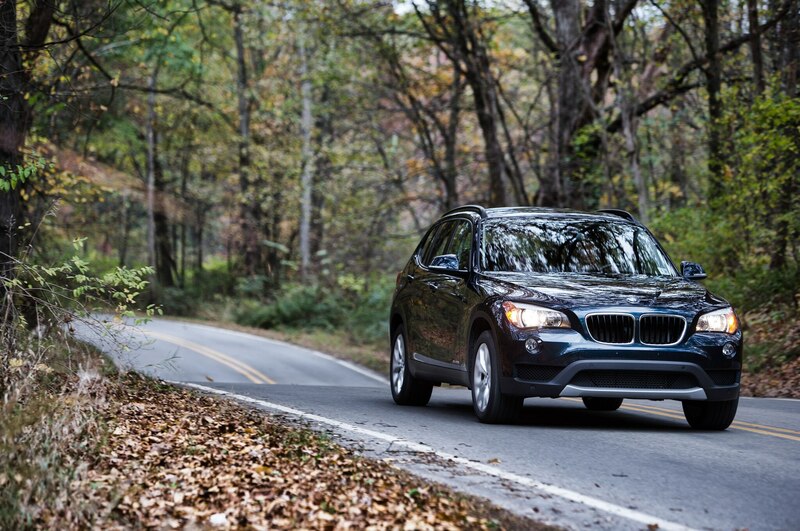 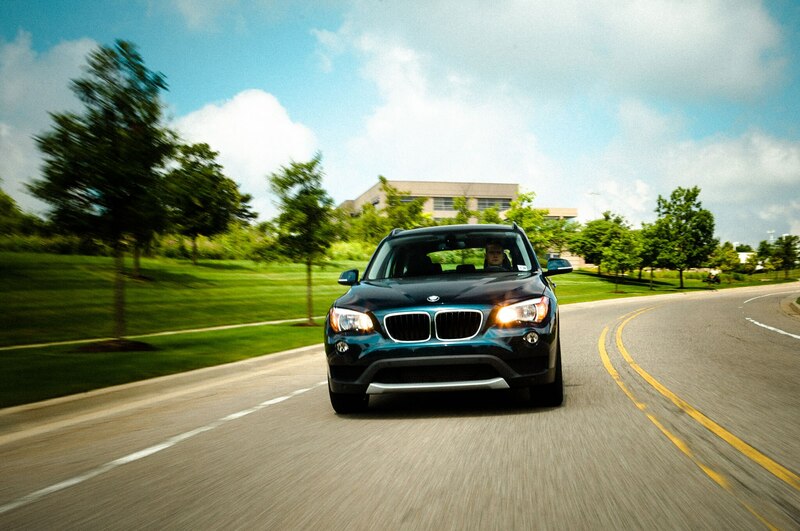 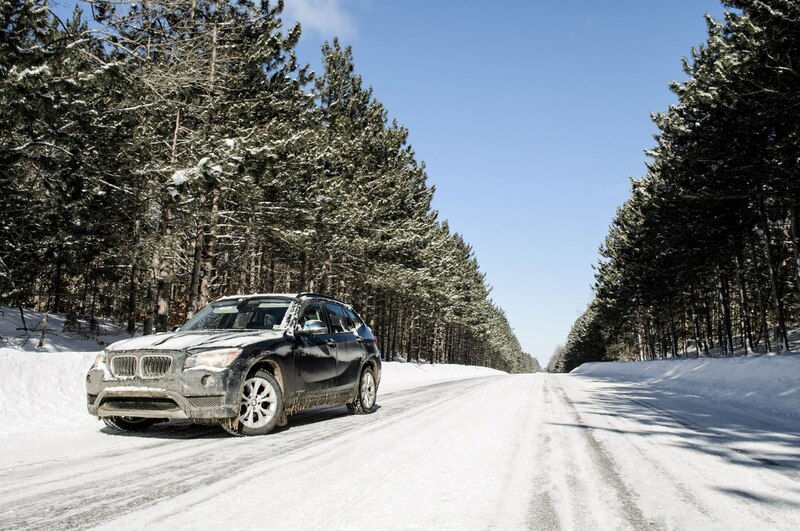 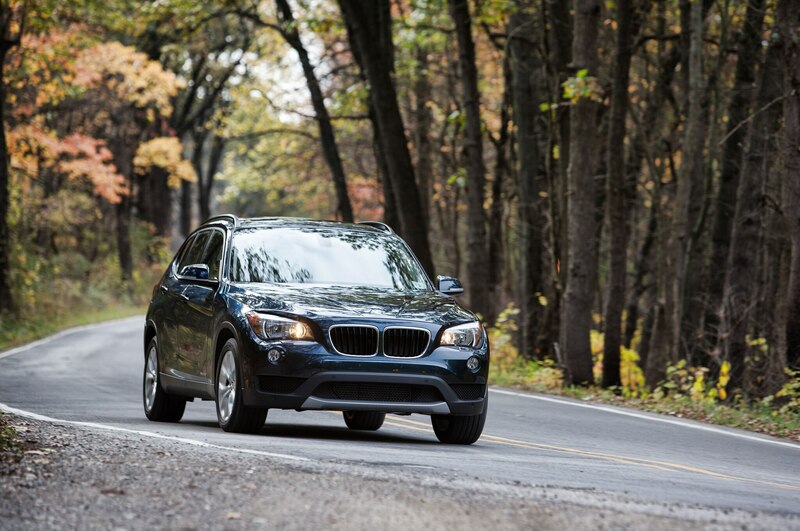 Our BMW X1, which had the standard suspension, had a firm ride. 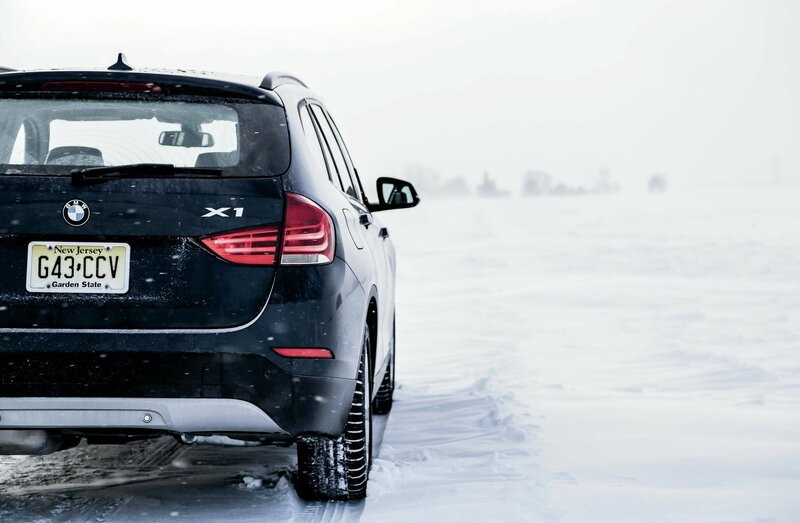 The X1 also offers a sport suspension, as part of the M Sport package. 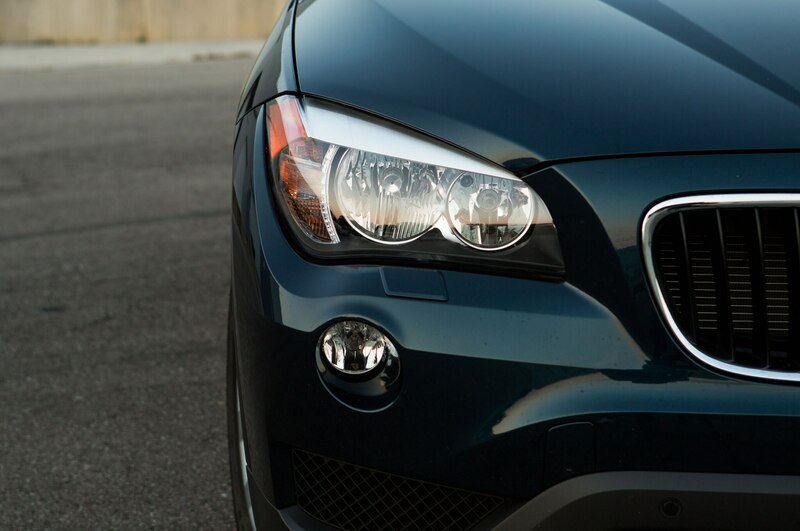 It doesn’t need it. 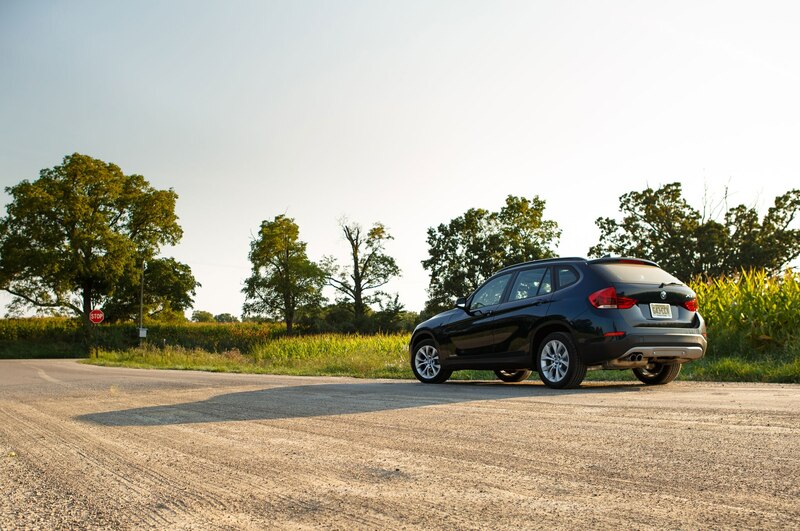 On twisting, turning pavement over rises and dips, the X1 has the graceful moves of a 3 Series, rather than the stiff-legged response of a sporty crossover. 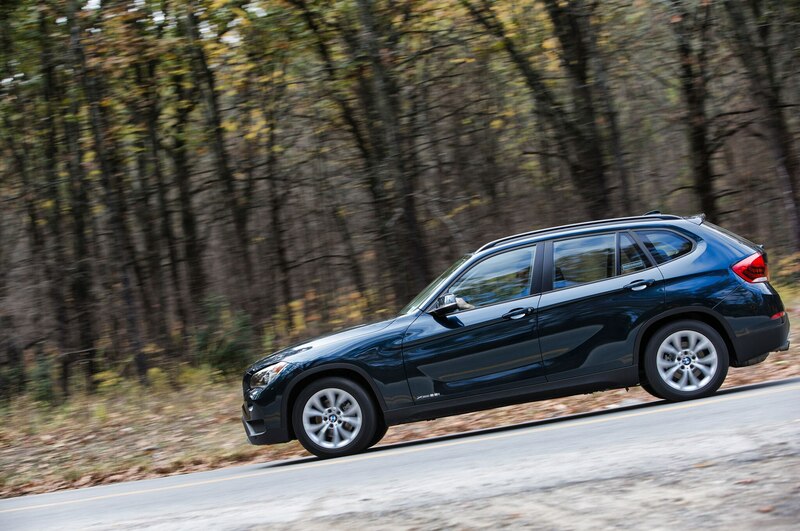 The response from BMW’s 2.0-liter turbo-four, however, was somewhat less enthralling. 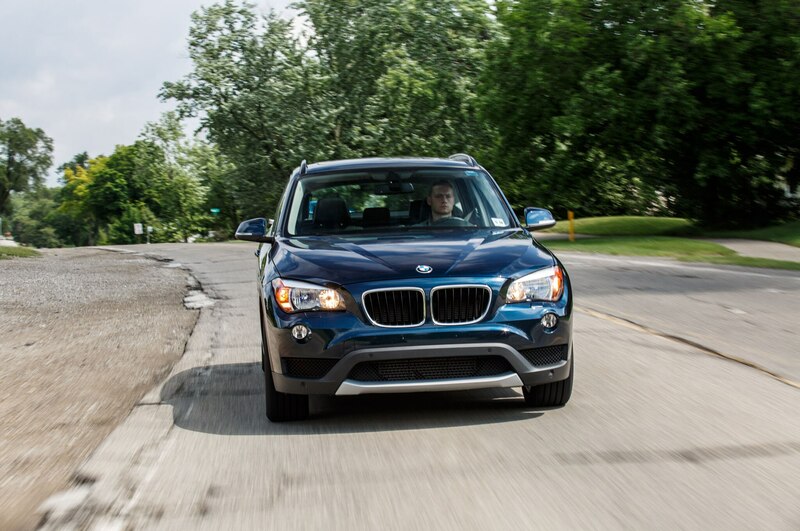 Several staffers complained about a momentary lag upon initial tip-in, and the engine note at idle is diesel-like. 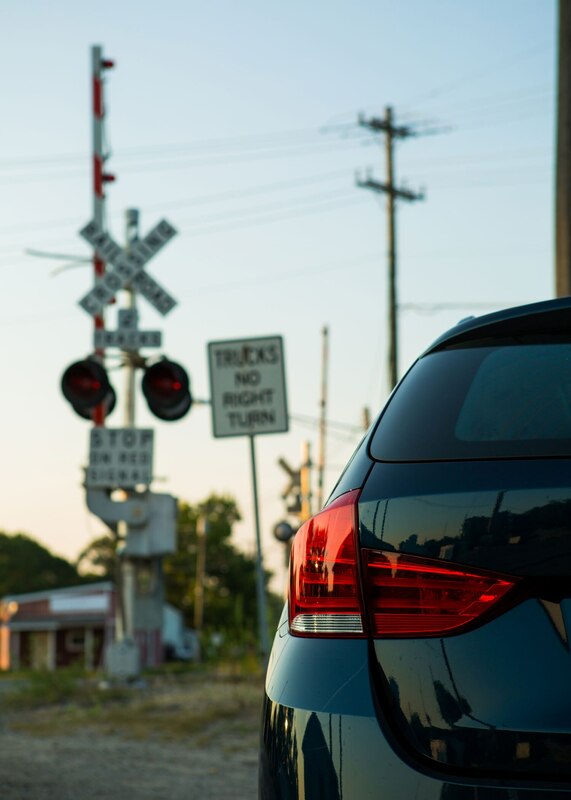 Not all drivers noted the hesitation, however, and even those who did were forgiving of it. 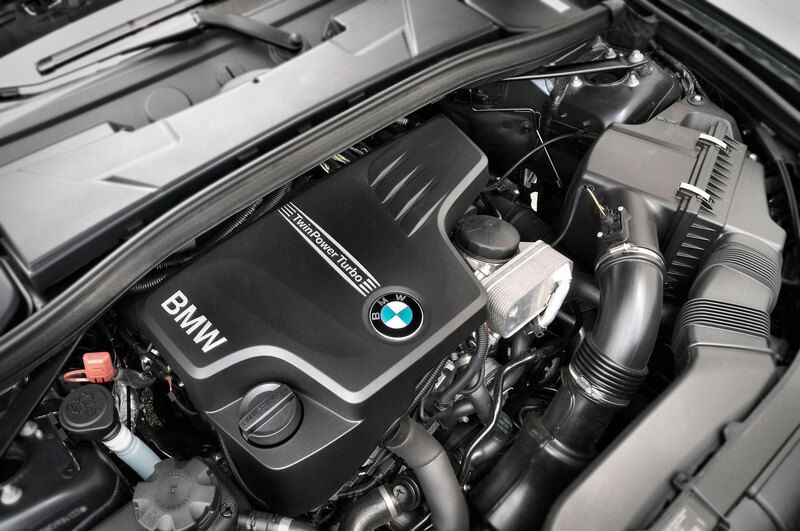 That’s probably because, as associate Web editor Joey Capparella said, “once the engine wakes up, the power delivery is strong and linear.” We clocked a sprightly 0-60 time of 6.4 seconds; the X1 is also offered as an xDrive35i, and that model’s 3.0-liter turbo-six was only 1.1 seconds quicker in our testing. 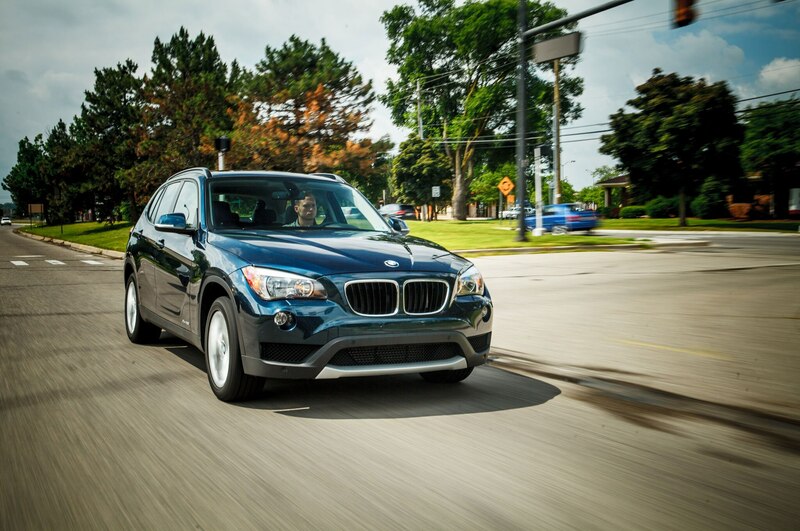 As is so often the case, BMW’s eight-speed automatic is a key partner in the powertrain team. 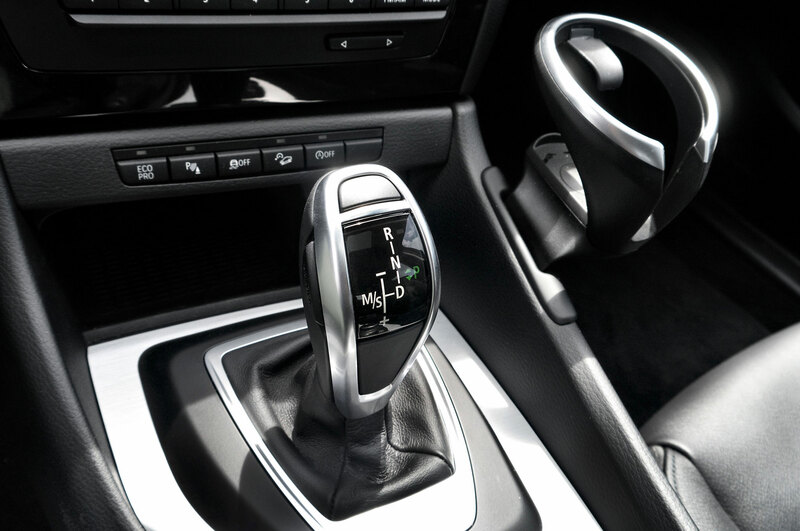 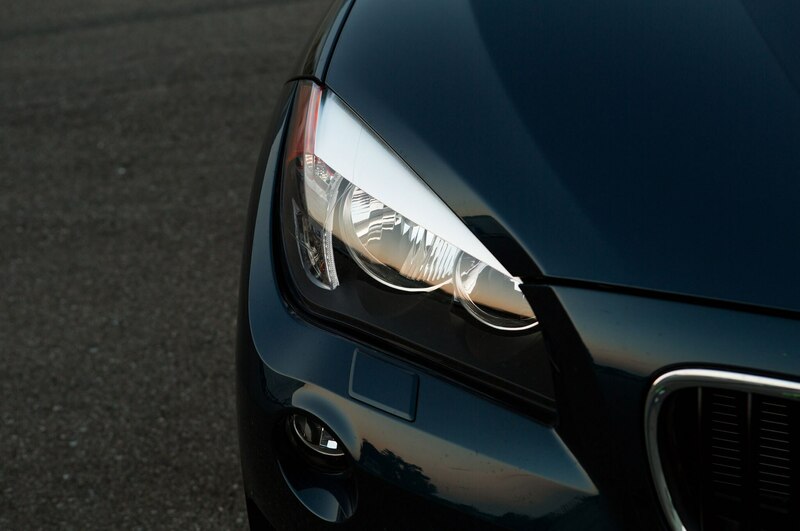 “The eight-speed automatic is excellent,” wrote executive editor Todd Lassa. 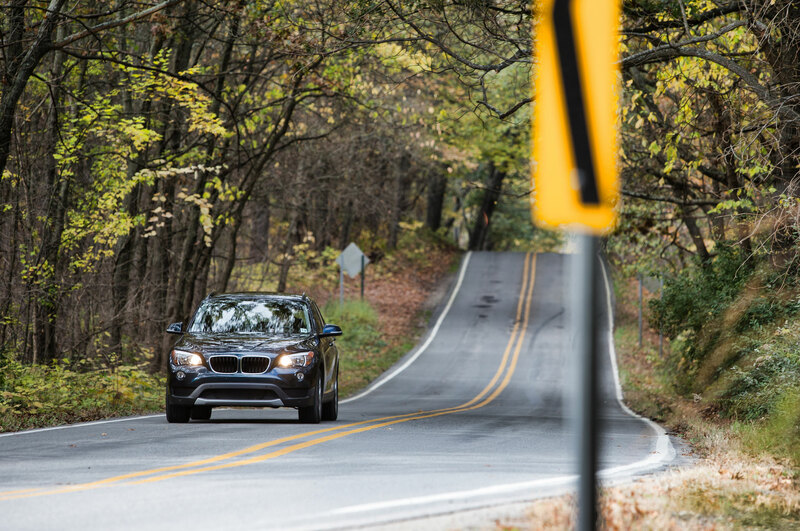 “It helps smooth out what turbo lag there is, and always seems to pick the right gear, downshifting crisply when called for.” Unfortunately, even with the eight-speed, BMW’s turbo-four does not provide the fuel economy we had hoped for. 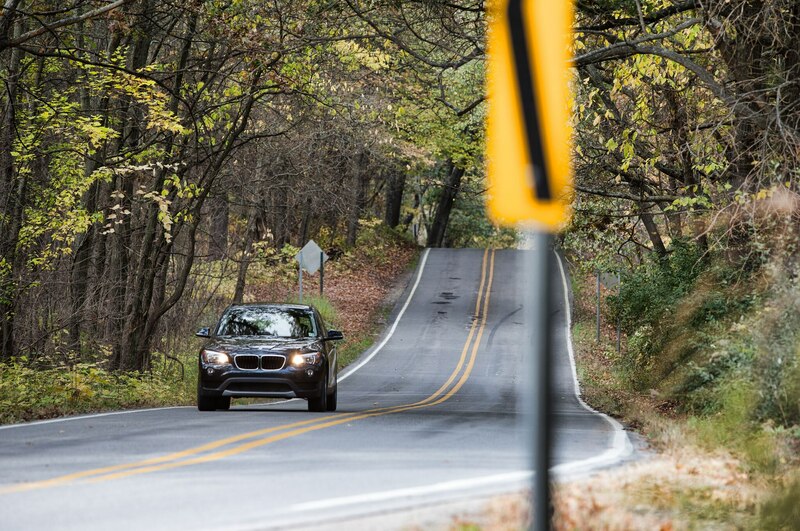 The EPA ratings are 22 mpg city and 33 mpg highway, but we were rarely able to break the 30-mpg mark in our highway driving. 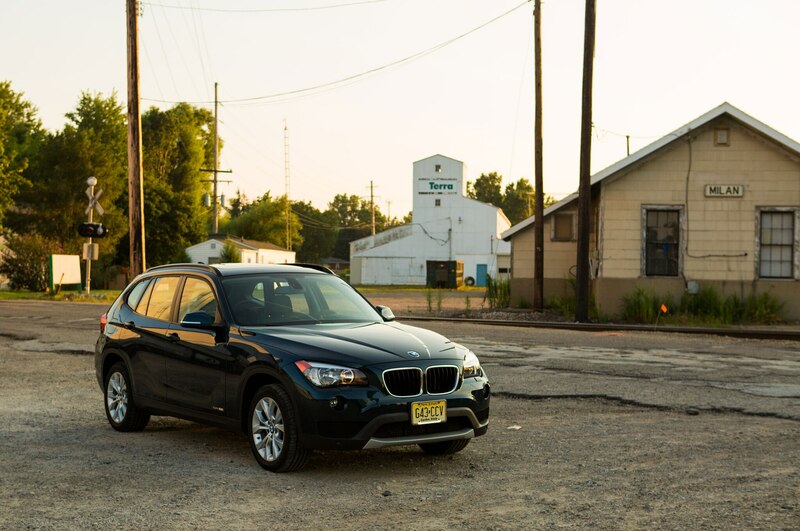 Our yearlong average was 23.6 mpg, versus the EPA’s combined rating of 26 mpg. 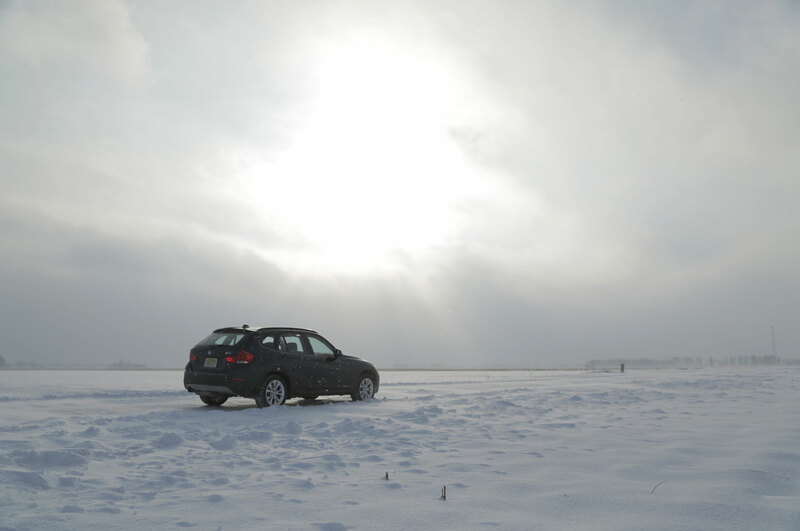 Those figures are somewhat disappointing for such a small car. 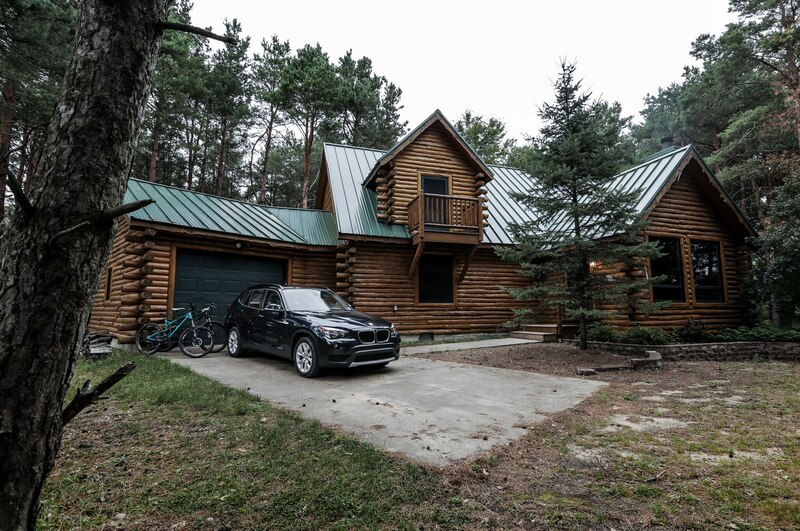 While we were willing to accept the cabin’s space constraints, we did wish for a bit more style. 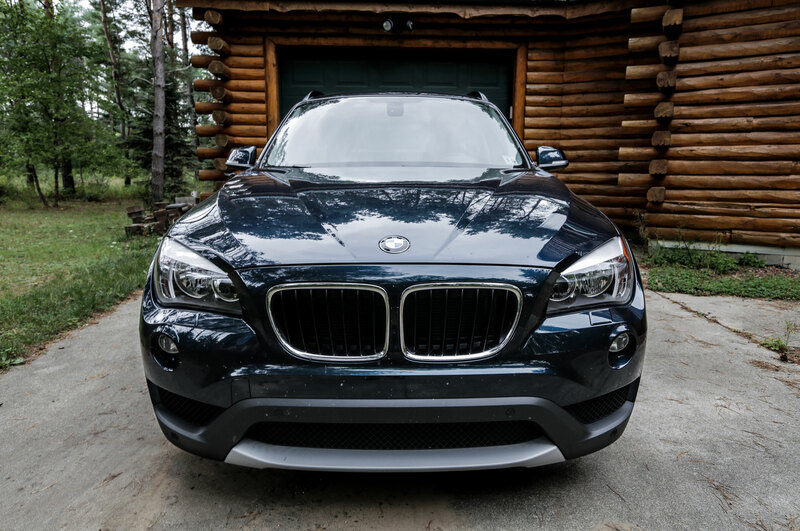 “The interior could use a little more excitement,” said associate Web editor Eric Weiner. 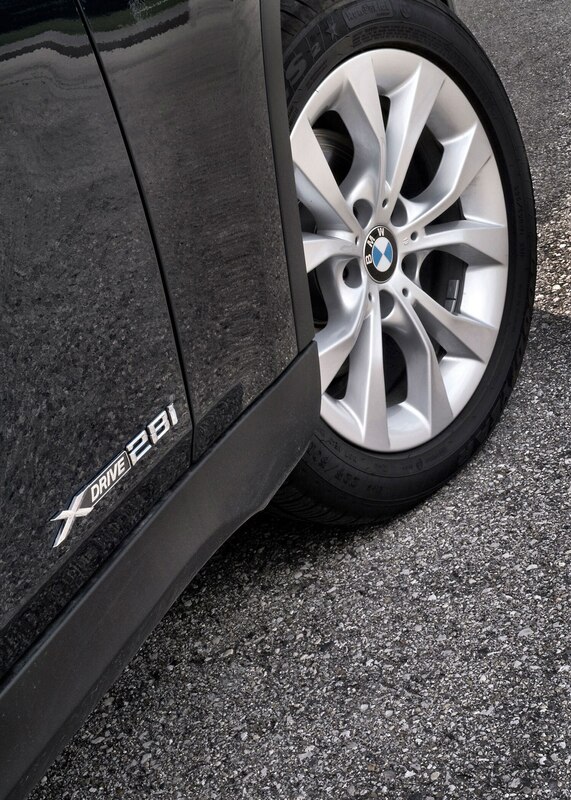 “It’s pretty bare and drab.” Zenlea agreed, chiding the X1 for its “typical, cookie-cutter BMW cabin.” Part of that was our own fault, however, as BMW offers a choice of several two-tone leather combinations; we just happened to pick monochrome black. 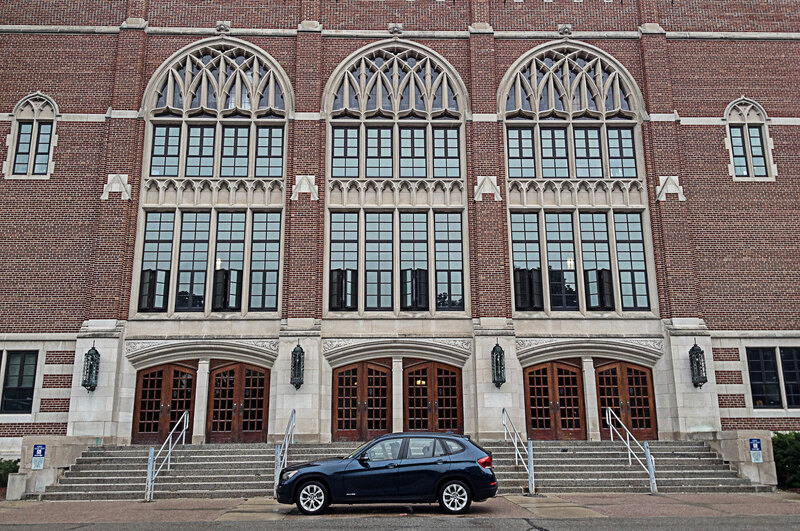 At least the space was brightened by a panoramic sunroof, and we loved the fact that the sunroof can be opened at highway speeds without buffeting. 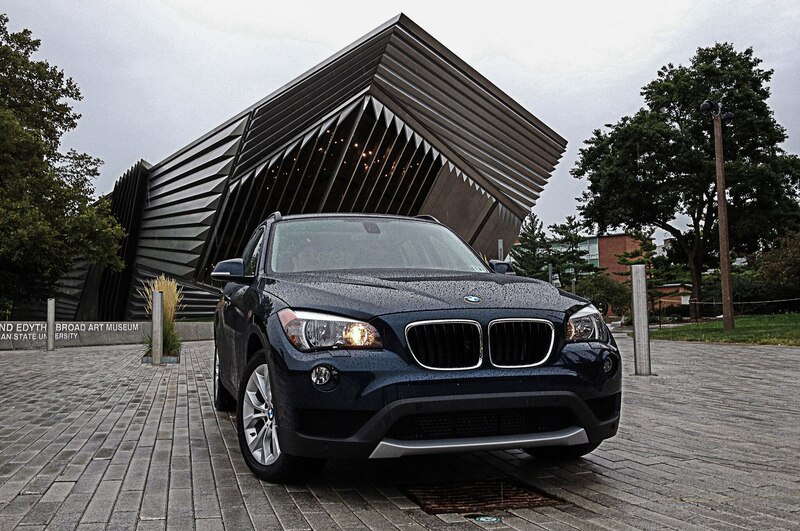 The sunroof was part of the options load that added considerably to our X1’s bottom line. 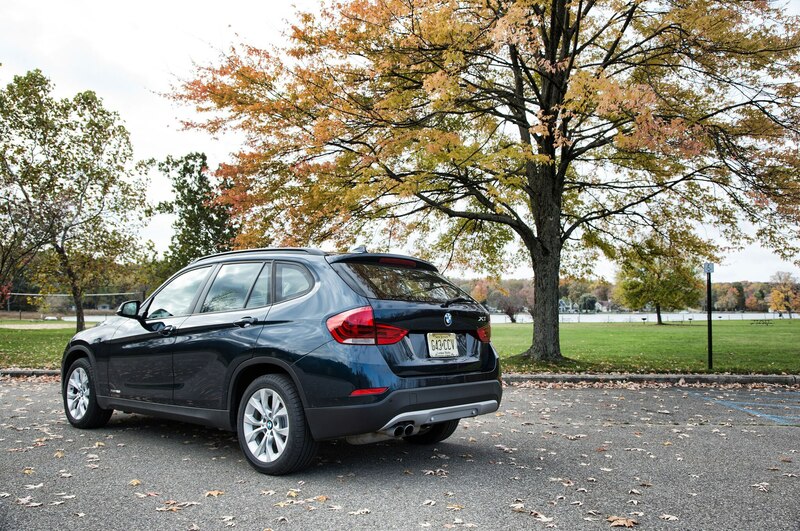 At first glance, the base X1 appears to be quite a bargain—it’s the least expensive BMW you can buy. 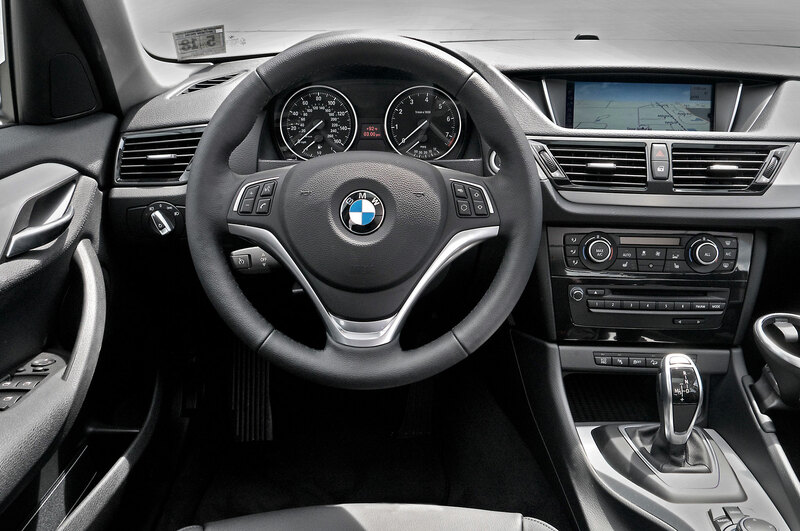 But a closer look at that car’s equipment list finds many things missing: leather, a backup camera, a sunroof, satellite radio, navigation, and a power driver’s seat. 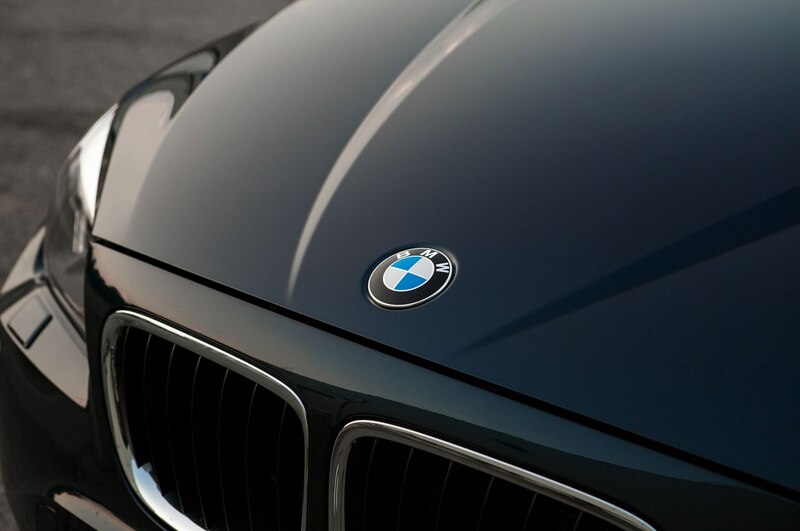 We got those items by checking the box for the hyperbolically named Ultimate package, which jacked up the price by $6150. 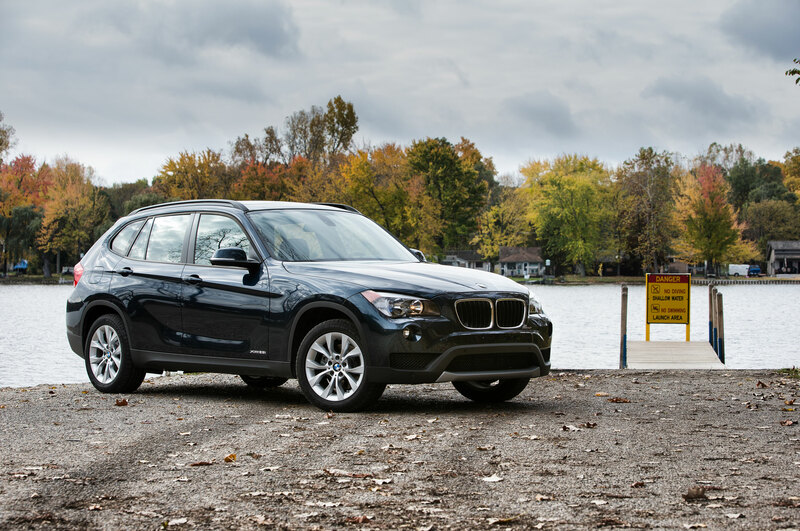 Add the cold weather package (heated seats and steering wheel), metallic paint, and Servotronic power steering, and you get an as-tested price of $41,075—further proof that the concept of a bargain BMW remains elusive. 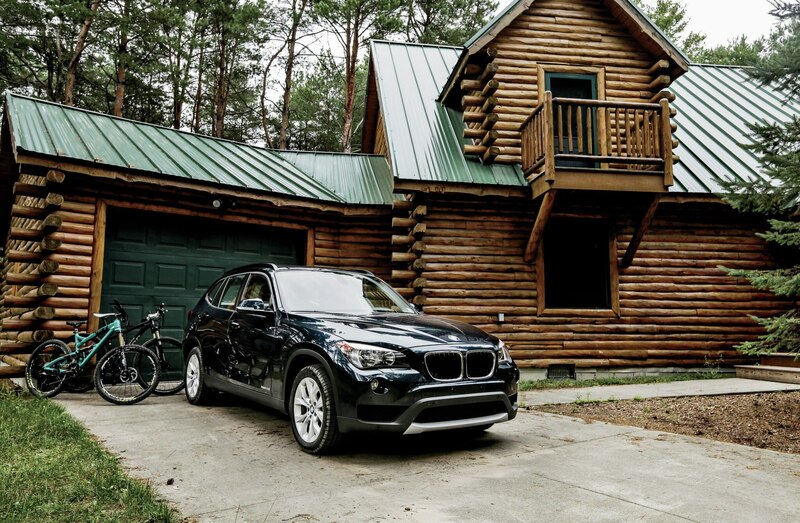 Adventure ready: With its rear seats folded, the X1 swallowed all manner of active lifestyle gear, including mountain bikes. 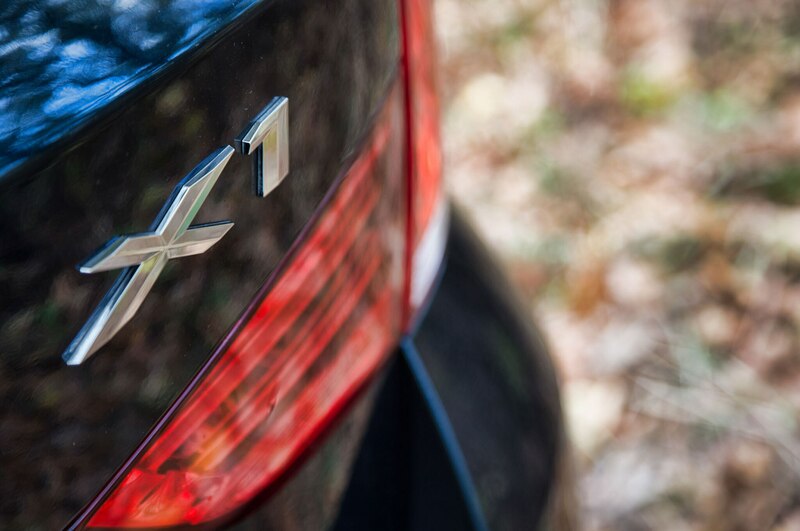 It was also the perfect vehicle to deliver them to the head of a muddy woodland trail. 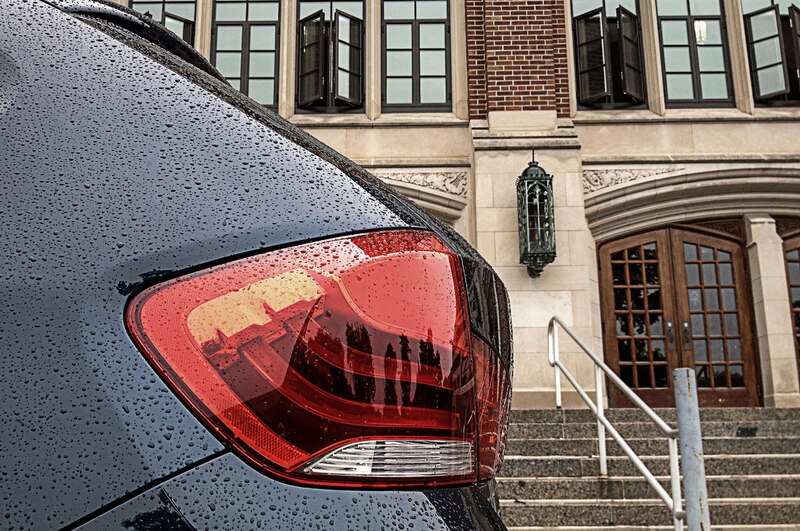 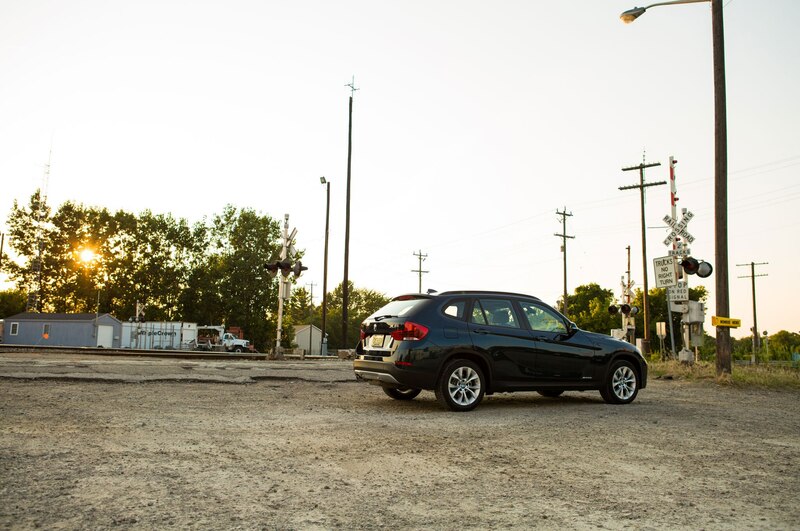 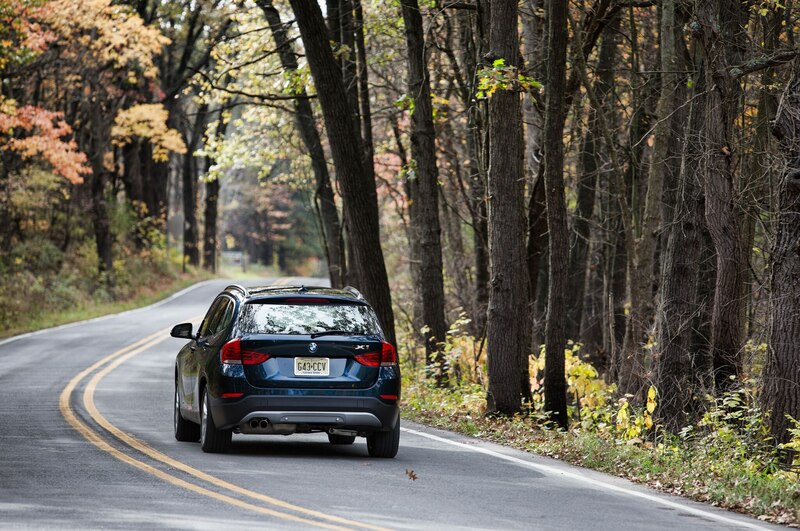 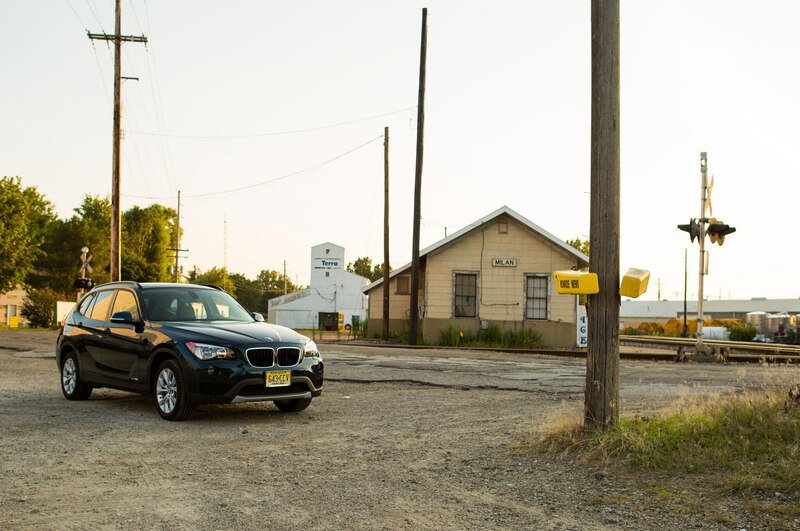 It might not be a bargain BMW, but the X1 is a true BMW, and for that reason, we can get behind it. 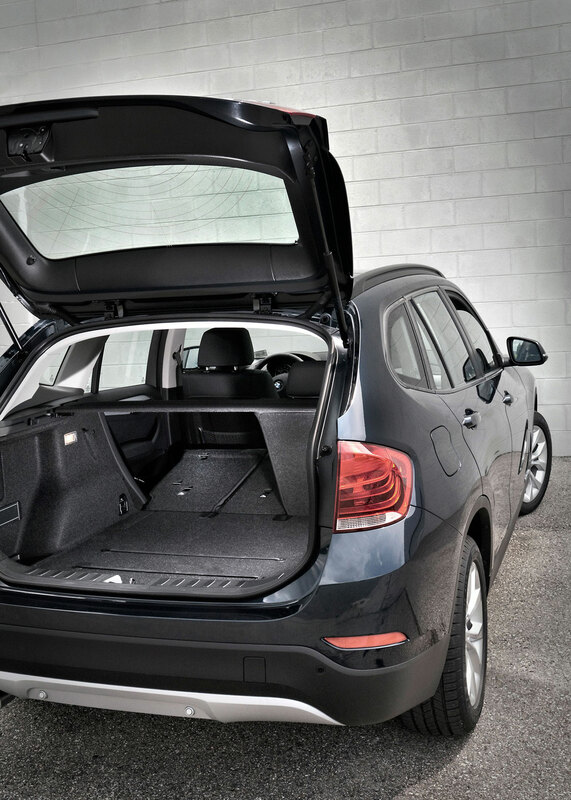 As Capparella said: “It’s sporty to drive, feels high-quality inside, has a usable amount of space, and is even reasonably efficient. 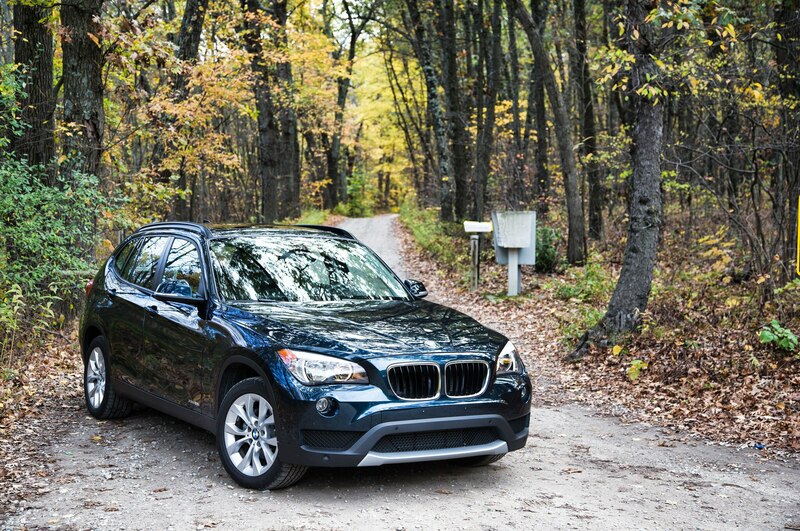 In my mind, this is exactly what a BMW crossover should be.” Those who agree might be advised to get one while you can. 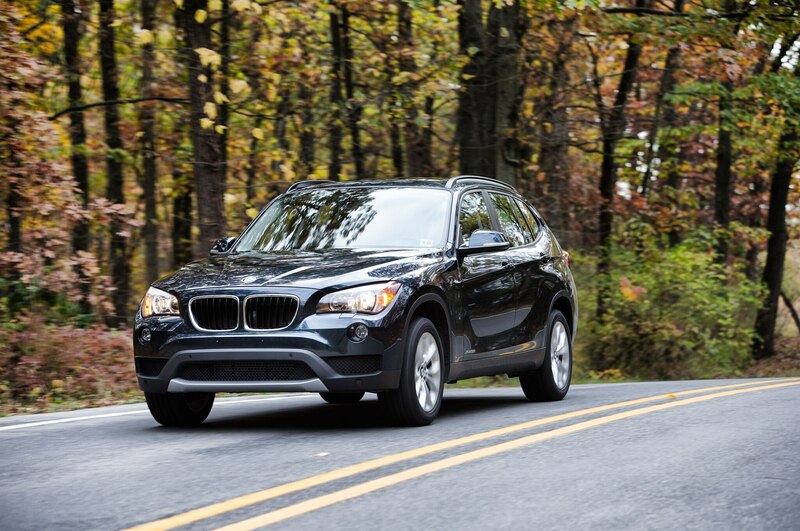 Its next redesign, coming for 2016, will see the X1 migrate to BMW/Mini’s compact, front-wheel-drive architecture. 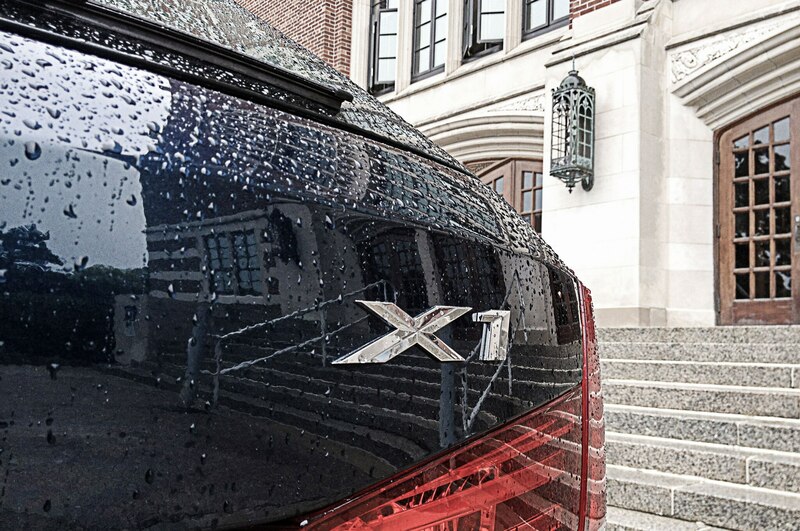 We can’t say whether that will make the next X1 less of a BMW, but it definitely will make it more like every other crossover.